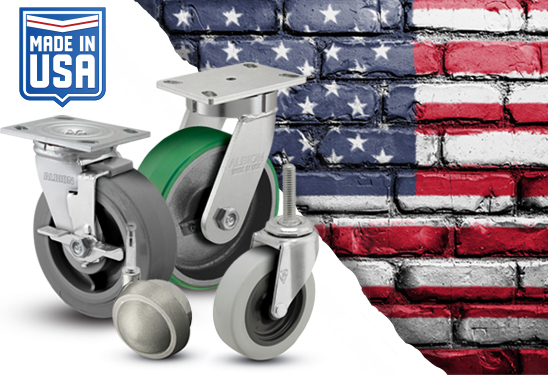 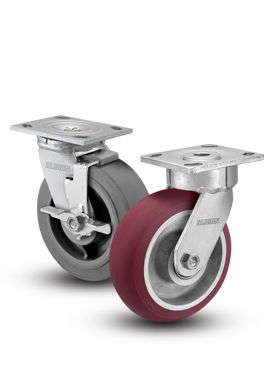 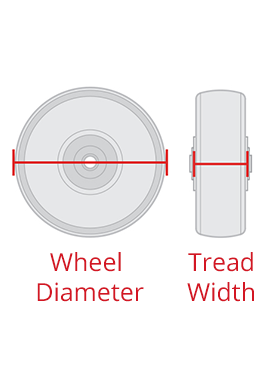 Low Profile casters get their name from their shorter-than-average mounting height (the distance between floor and product when a caster is properly attached). 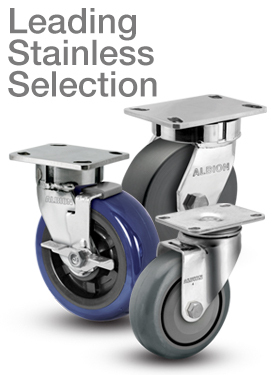 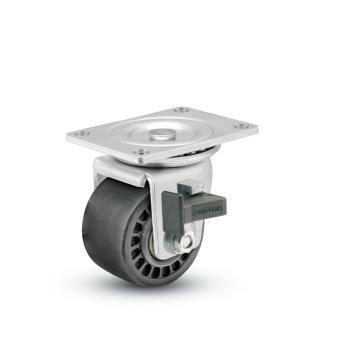 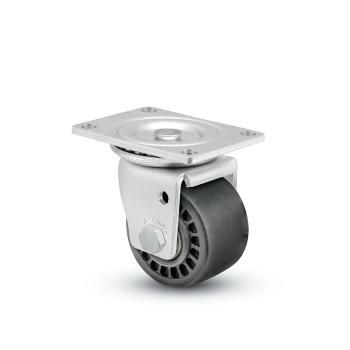 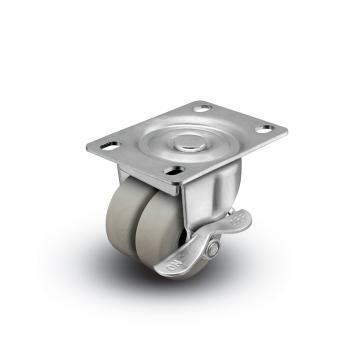 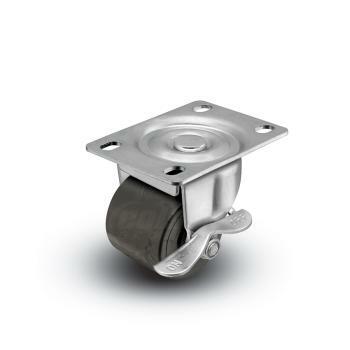 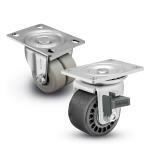 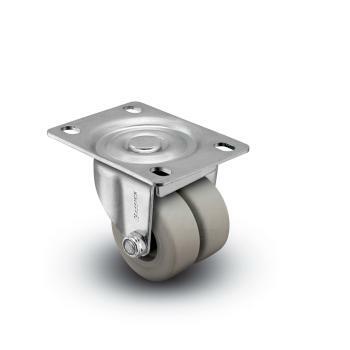 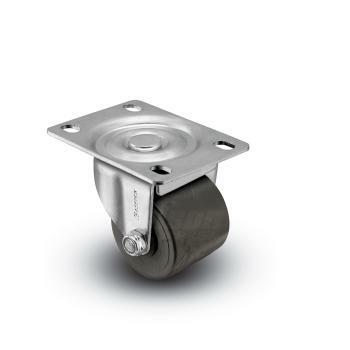 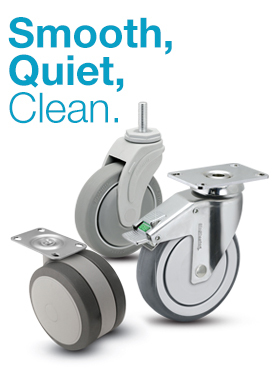 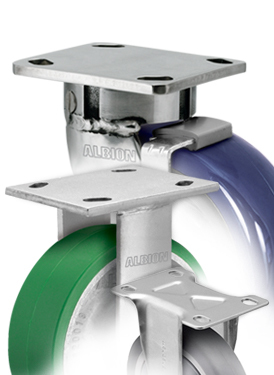 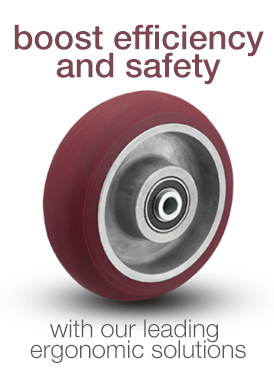 Low profile casters are ideal for applications which require a low clearance height. 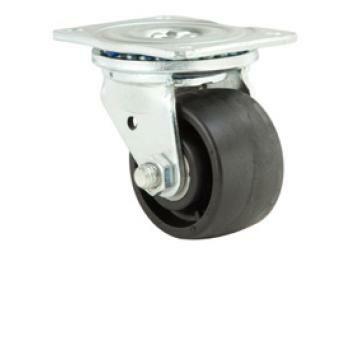 These casters are great for copiers, refrigeration units, and other heavy equipment which may not move often. 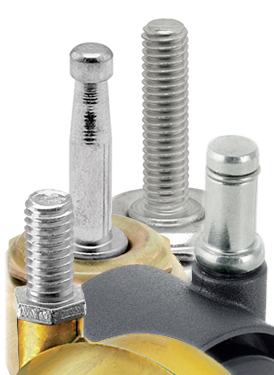 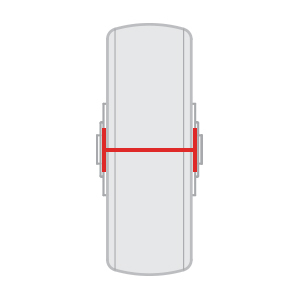 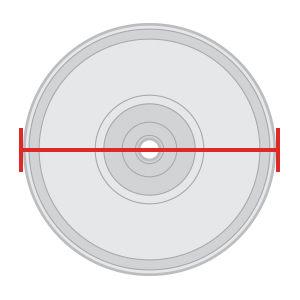 The low clearance keeps the product's center of gravity closer to the ground and does not render the product unusable. 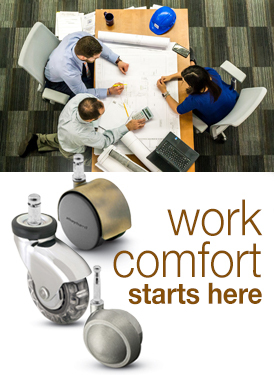 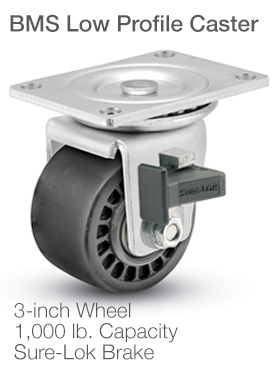 Low profile casters often have high weight capacities; some casters here can support 1,000 pounds each.